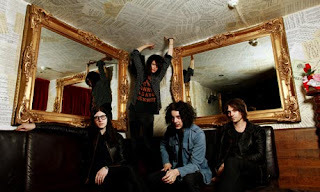 I really enjoyed the Dead Weather Live (full review here) they had a dirty passion to their playing. My man crush on Jack White helps, but it was more the power of all the players mixed with the sultry front posturing of Alison Mosshart. I was never into The Kills, but she made me a believer when I caught her prancing around on stage, actually owing more to Axl Rose then any other female rock lead singer. Their studio release Horehound was good (full review here) but their live presence was 10 times grander. If you can get tickets go check them, until then here is a live mini set that straight up smokes, check it out. Also a full NPR show Here.